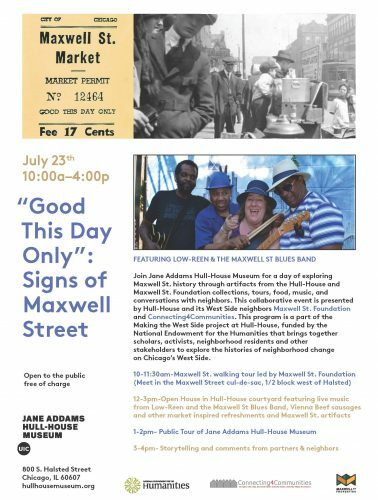 Join Jane Addams Hull-House Museum for a day of exploring Maxwell Street history through artifacts from the Hull-House and Maxwell Street Foundation collections, tours, food, music, and conversations with neighbors. This collaborative event presented by Hull-House and its West Side neighbors Maxwell Street Foundation and Connecting4Communities is open to the public free of charge. This program is a part of the Making the West Side project at Hull-House, funded by the National Endowment for the Humanities that brings together scholars, activists, neighborhood residents and other stakeholders to explore the histories of neighborhood change on Chicago’s West Side. 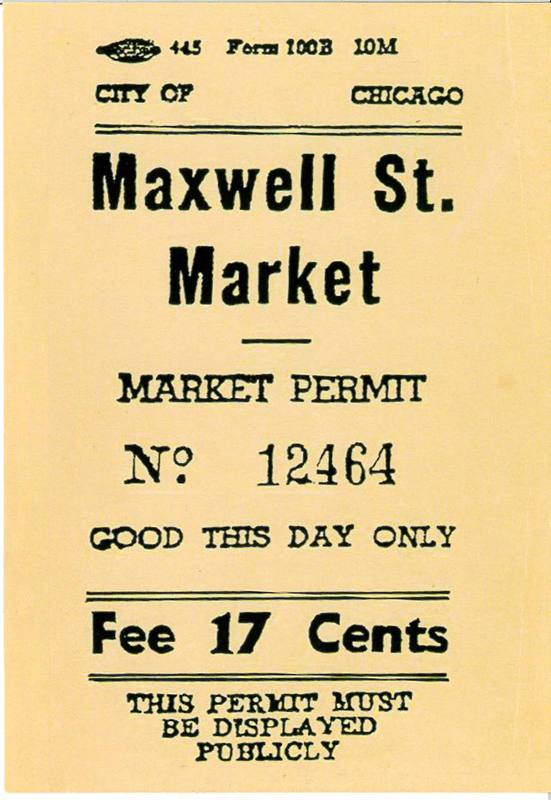 10-11:30am, Maxwell Street cul-de-sac, 1/2 block west of Halsted: Maxwell Street Walking Tour led by the Maxwell Street Foundation. 1-2pm, Jane Addams Hull-House Museum: Public Tour of Jane Addams Hull-House Museum. All images published by the Maxwell Street Foundation within this website are copyright of the artist and are for educational, personal, and/or noncommercial use only. For any other use, please contact gro.n1555618736oitad1555618736nuoft1555618736eerts1555618736llewx1555618736am@of1555618736ni1555618736.